Green Oaks is made up of well-established horse properties. These properties are close to the Highline Canal trail and bridle paths. The city of Greenwood Village is one of the most desirable places to live in Denver and within the boundaries of the city the sub-division of Green Oaks has earned the honor of being one of the most desirable areas to live in also. Large and spacious homes in this community have huge yards that are always very well maintained and the entire community just has a very "family" feel to it in that everyone takes care of their property and looks out for each other too. Local amenities include a large pool and tennis court and a little further afield you have an entire shopping district to enjoy with everything your family could need for day-to-day living. There are also several parks in the area including Horseman's Park and Brookridge Park for you to take a stroll in or stretch the legs of your equine friend too. Green Oaks is also located directly adjacent to the High Line Canal trail - just part of the 40+ miles of walking trails in this city. 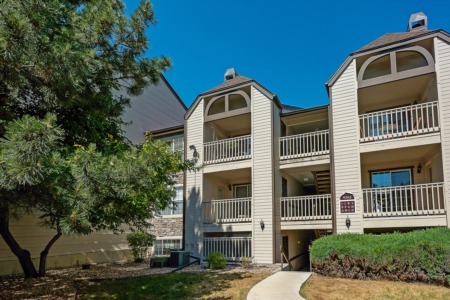 Route 85 and the I-25 provide residents of Green Oaks with access to the rest of the city and state, with Denver and Colorado Springs both being just a short drive away from your home.